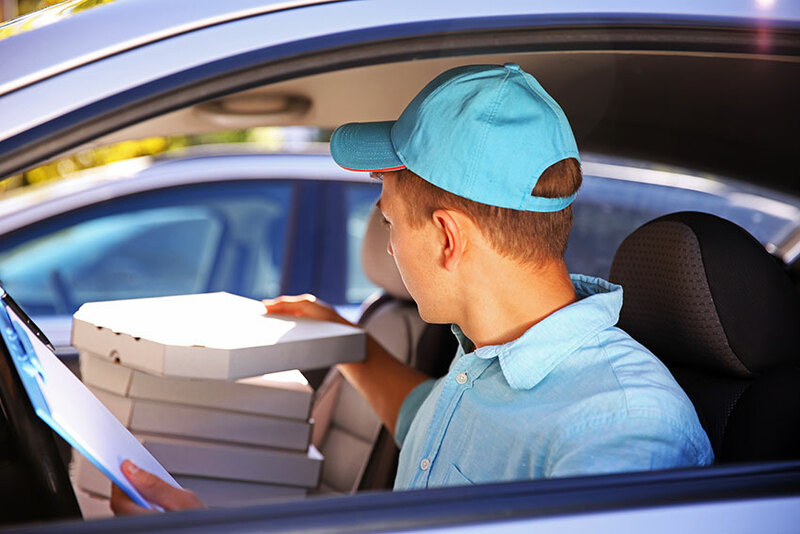 Food delivery is almost a tradition for many teens and young adults after they’ve obtained their driver’s license. Earning money for school while delivering pizzas using the family car seems like the perfect way to put new skills to work. However, not many families consider the insurance implications of this part-time occupation. If a family vehicle is used commercially without notifying the insurer, then there’s a real risk that the insurance policy itself won’t pay benefits in case of an accident. Personal auto insurance is just that — personal. When a driver uses a vehicle for commercial purposes, that vehicle requires special coverage. While it’s possible to add commercial endorsements to some personal policies, it is not a standard product and insurers in Ontario are under no obligation to provide such coverage. Thus, a student better do their homework before embarking on a part time food delivery career. 1 What Insurance Do Delivery Drivers Need? What Insurance Do Delivery Drivers Need? Anyone using a car for commercial purposes requires commercial car insurance in Ontario. That’s simple enough. Where problems arise is that the cost of commercial auto insurance can easily outspend the money earned on a part-time basis. The main issue is the increased risk experienced when a vehicle drives more kilometers. More driving means the likelihood of an accident increases too. For insurance companies, increased risk means that their chances for paying additional costs in accident settlements and repairs goes up. When that happens, drivers pay more. The need for commercial insurance is not restricted to food delivery vehicles. Passenger services in personal vehicles — Uber, for example — require coverage beyond what a personal auto policy provides. It’s one reason that the taxi industry is up in arms over the services. Anytime someone uses a personal vehicle commercially without arranging appropriate coverage, they operate with an unfair advantage. On top of that, they are operating illegally. Car insurance is a contract between insurance company and the car owner. An insurance company doesn’t honour personal policies for incidents occurring while food delivery use occurs. First of all, this means that the company has no financial responsibility for an accident or theft. The owner and driver may be fully responsible for not only repairing and replacing the vehicle but paying settlements for any lawsuits arising from the accident. Considering settlements against at fault drivers can exceed $200,000, there is a serious financial load at stake without proper insurance. Secondly, without insurance coverage, a car can’t use Ontario roads. Driving without insurance carries stiff fines ranging from $5,000 to $50,000. A food delivery driver operating without commercial coverage may be considered driving without insurance at all, even with a personal policy in place. Under the Ontario auto insurance system, each car insurance company makes their own operating procedures, approved by the Financial Services Commission of Ontario. A company chooses whether or not to offer commercial endorsements for personal auto insurance policies. Therefore, not every insurer will cover food delivery coverage. Drivers will likely need to shop around to find a suitable insurance provider. In addition, food delivery companies themselves should have liability coverage protecting against incidents involving its drivers. Should a food delivery company have its own fleet of vehicles, commercial coverage is a must. There are no differences for drivers of motorized vehicles requiring licensing in Ontario. Part of the ownership and licensing process for motorized vehicles requires proof of insurance. That insurance must reflect accurate use of the vehicle or similar difficulties arise. The driver of a bike or scooter not requiring licensing may be covered under home or auto insurance coverage when that vehicle has an incident. Once again, though, commercial use of the vehicle will probably cause an insurer to deny the claim under personal policies without an additional endorsement. Full-time food delivery drivers can purchase commercial car insurance, provided they can afford the premiums. Finding commercial endorsement options for personal policies remains difficult. There are companies that do underwrite such policies, though, so enlisting the aid of a broker or asking a company’s agent remains the best bet. The most important factor for a food delivery driver to remember is that their insurer has the right to know how a vehicle they cover is driven. If a driver doesn’t supply accurate information, the company has no legal obligation to provide insurance benefits. Ratelab’s car insurance calculator provides estimates for commercial endorsements on personal policies if an insurance partner provides suitable coverage meeting your needs. The calculator provides the lowest cost coverage that matches your criteria and you can then speak directly with an insurance company, agent or broker. Simply enter your home postal code above and start now.